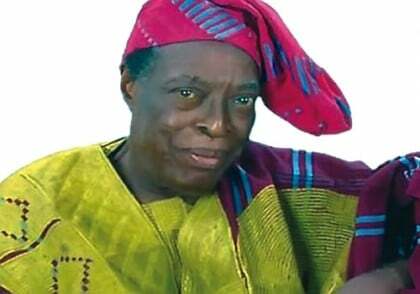 Acting President Yemi Osinbajo has commiserated with the family of ace actor, broadcaster, journalist and multi-lingual translator, Adebayo Faleti, who died at 86. The acting president, in a statement issued by his Senior Special Assistant on Media and Publicity Laolu Akande in Abuja on Friday, also condoled with the Oyo State Government and the Nigerian literary community. Osinbajo also condoled with the movie industry and all the media houses where Faleti served variously as a broadcaster, dramatist, scriptwriter, poet and translator. He said the deceased deployed his time and skills in the service of the nation through the creation of patriotic narratives on the tube and interpretation of speeches of presidents and heads of governments to reach a wider audience. The acting president, who extolled the multi-talented actor, recalled that the late thespian found his passion at an early age and worked against all the odds to acquire relevant knowledge and expertise. He said Faleti bequeathed to the upcoming generations not only an inspiring legacy but also that of focus, discipline and hard work. He noted that the local and international recognitions that Faleti won in his life time were not only well-deserved, but “proof of his acclaim and patriotism’’. The acting president prayed that Almighty God would comfort his family, friends and associates and bless the memory of Pa Adebayo Faleti.